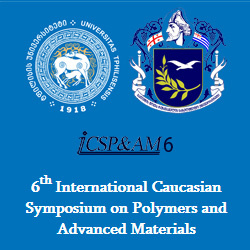 In 17-20 July of 2019 in Batumi takes place 6th International Caucasian Symposium on Polymers and Advanced Materials organized by Ivane Javakhishvili Tbilisi State University and Sh. Rustaveli Batumi State University. The purpose of the conference is to encourage scientists working in polymer and advanced chemistry to present their investigations dedicated to problems and discoveries in above mentioned fields. the Organizing Committee cordially invites you to the 10th Eurasian Meeting on Heterocyclic Chemistry (EAMHC-2019) which will be organized by the Ligurian Section of the Società Chimica Italiana (SCI) and will be held in Milano Marittima-Cervia (Ravenna), Italy on September 15th-19th, 2019.